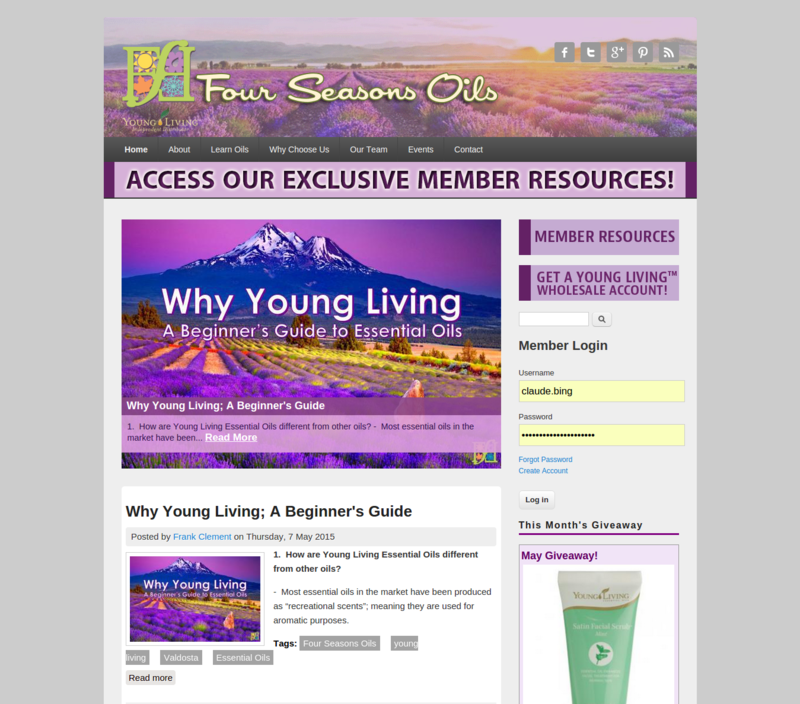 Four Seasons Oils is an essential oils educator and distributor located in Valdosta, GA. While I was stationed at Moody Air Force Base I became acquainted with the founders and offered to create their web presence. 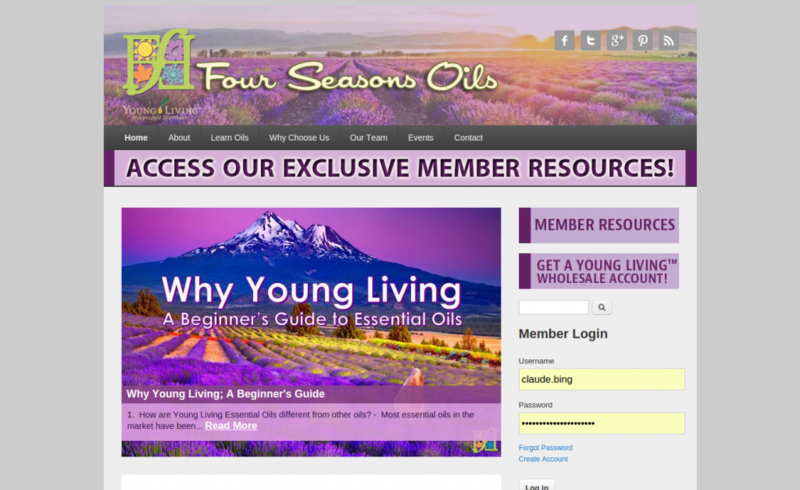 I currently manage and support their website and e-mail services. 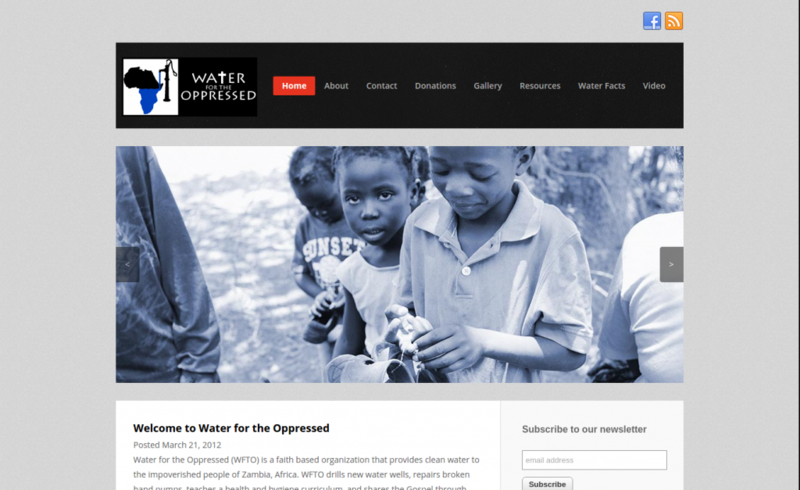 Water for the Oppressed (WFTO) is a faith based organization that provides clean water to the impoverished people of Zambia, Africa. WFTO drills new water wells, repairs broken hand pumps, teaches a health and hygiene curriculum, and shares the Gospel through Word and deed. This organization was founded by my parents, C.W. and Leslie Bing in 2005. I have worked with them since the beginning providing web design, e-mail server administration, software development, photography, and graphic design services.